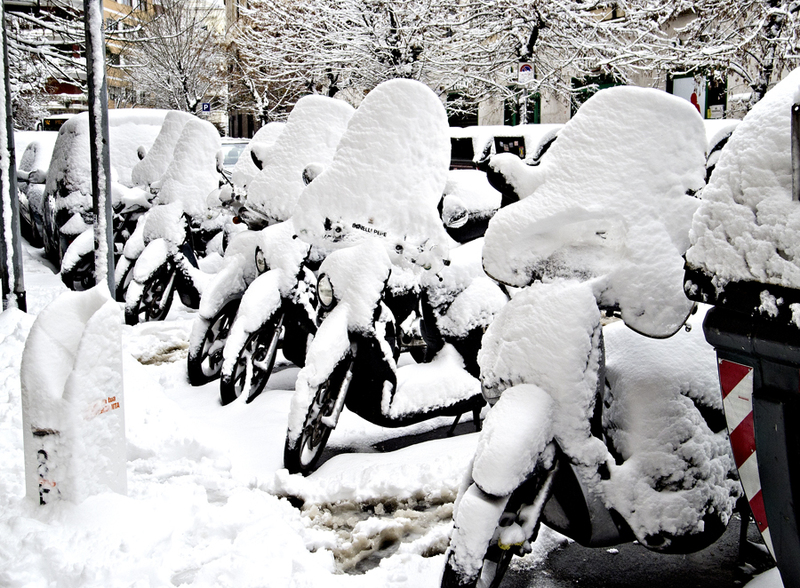 I did start my second post on Amsterdam and then, we got a “major” snowstorm in Rome!!! When I say major well, nothing comparable to what we get in Canada. We would consider this as a normal winter day, 5 cm of snow in 24 hours… Considering that they don’t even get snow once every year, this is pretty extraordinary. 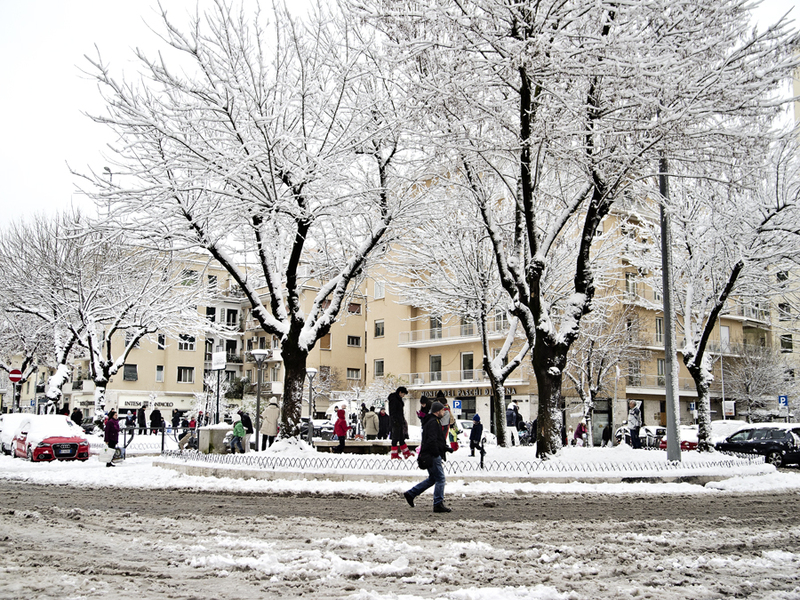 Therefore, I give you snow in Rome! 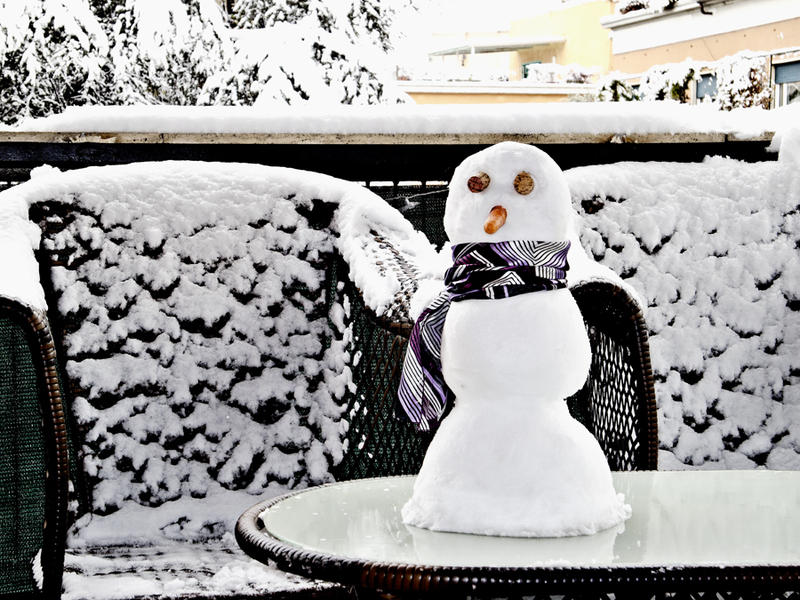 We had to have a snowman on our balcony!